Owning a Jeep is like joining an exclusive club of like-minded vehicle owners who are part of an adventurous, proud, big, happy family. Despite this unity and camaraderie around the brand, there are lots of different models of Jeeps. They all vary by style, features, and other characteristics. Following is a rundown of the similarities and differences between two of my favorite models on the road today: the Jeep CJ7 and the Jeep Wrangler. Full disclosure: I own a CJ-7 built in 1985, but I have a fair amount of experience with Wranglers — through test drives and friends who own them. As you’ll see, I’ve come to view these venerable rides somewhat as un-identical twins: that is, two beings that share a basic DNA, but that each have their own signature makeup. 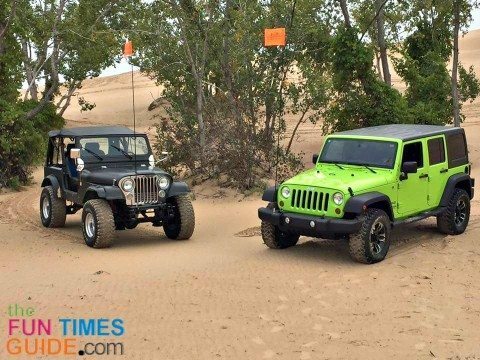 Before comparing the Jeep CJ and the Jeep Wrangler, a brief history of how the two models came to be is in order. 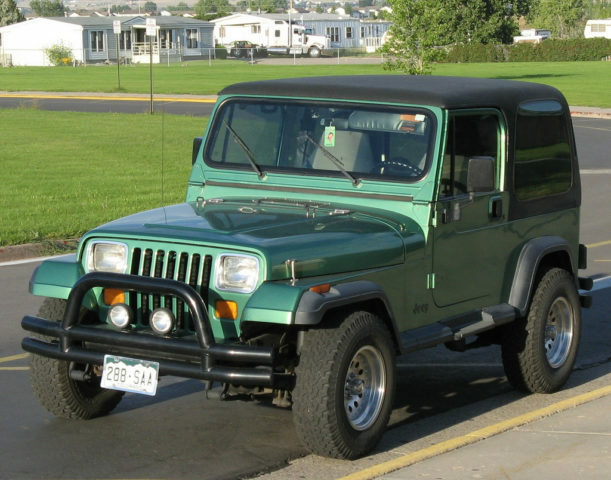 The last in a long line of variations of CJs that stemmed from the Willys military Jeep of 1944 (the original utility vehicle from which the civilian Jeep was born), the CJ-7 was manufactured from 1976 to 1986. The CJ-7 line was marketed as the “last of a great breed of legendary World War II Jeeps” produced by American Motors Corporation (AMC), and it marks the end of an era in Jeep production. The Jeep Wrangler, which began being produced right after the CJ-7, marks the beginning of the modern Jeep as we know it today. After its debut in 1986, the Wrangler — which has gone through several different manufacturers since — was revised in 1996 and then completely redesigned in 2006. 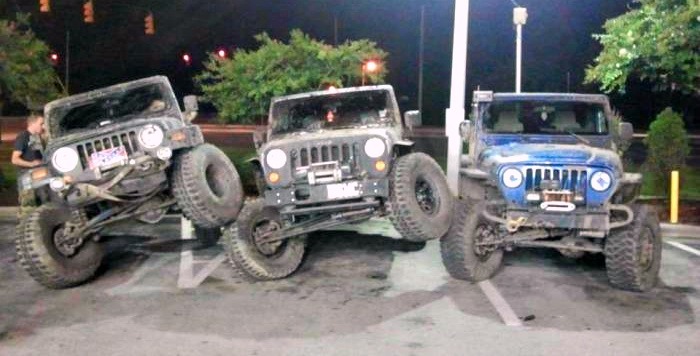 Popular Jeep Wrangler series include the YJ, TJ, and JK Wrangler Unlimited. So, what exactly does that mean in terms of the similarities and differences between the two models? What About Drivability & Handling? How do these similarities and differences translate into drivability and handling between the two models? Really, when it comes to the different features of the CJ7 and Wrangler, it’s all subjective. If you’re the type who enjoys tinkering with the engine of your Jeep (like I sometimes do), the CJ-7, with its simplistic and straightforward machination, might be the right model for you. If you’re a freak about accessories and computerized dashboard technology, then the latest Wrangler is likely your thing. Personally, I’ve found both the CJ-7 and Wrangler to handle fairly similarly — give or take a few creature comforts and relatively minor issues. Some have even gone as far as calling CJ-7s “real” Jeeps (implying that Wranglers are not). Personal preference aside, in the end (in my mind at least) a Jeep is a Jeep — no matter what the model. Remember, we’re all part of one big happy family, right? What’s Your Jeep Letter Code?